The last week of October, North Yarmouth Academy (NYA) welcomed Masha Bidenko from School 25 in Arkhangelsk (Archangel), Russia. Bidenko teaches elementary English and high school French at her home in Russia. She came to the U.S. as part of a delegation organized by the Greater Portland-Archangel Sister City Committee. While at NYA, she observed Middle and Upper School French and Lower School literacy classes. Bidenko also spent time shadowing NYA English Department Chair and musician, Ross Markonish. 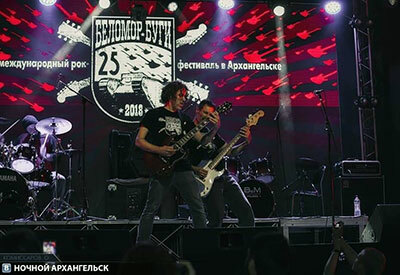 Bidenko met Markonish earlier this month when his band OGRE played in the Belomor-Boogie Festival in Arkhangelsk. The Sister City Committee arranged this meeting to begin the process of creating a sister school program between NYA and School 25. At NYA on Tuesday, October 30, Bidenko was introduced to the NYA student body at an assembly in the gymnasium where she shared stories of her home and perceptions of ours. 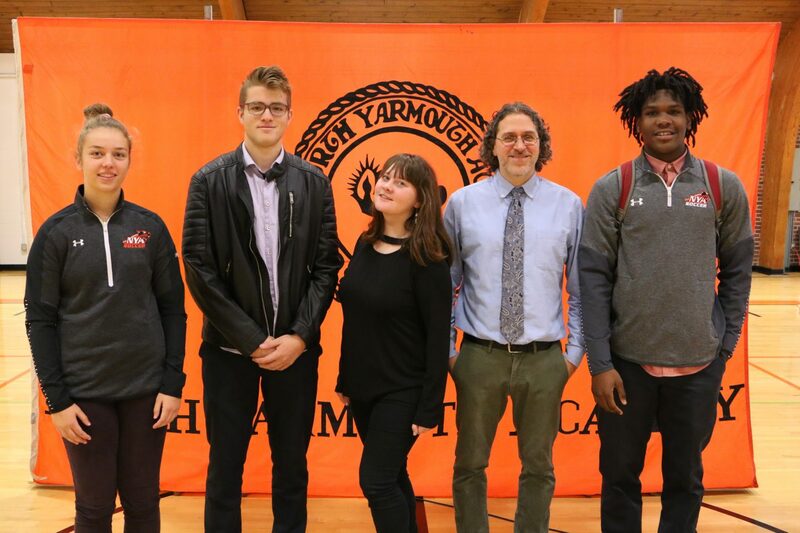 Markonish and NYA students Miles Chapman ’19, Serena Mower ’20, and Te’Andre King ’20 spoke about their recent travels to Arkhangelsk as well. Chapman, Mower, and King were invited to play basketball this past summer as part of a sister city exchange program through the State Department’s Youth Leadership through Sports (YLS) Program. For over thirty years The Greater Portland – Russian Sister City Project (The Archangel Committee) has been promoting friendship and understanding between the people of Greater Portland, Maine and the people of the City of Arkhangelsk, Russia, resulting in the “Treaty on Friendly Ties” in 1988.